Massively-multiplayer online role-playing game Reign of Assassins Online goes into beta today. This is more than just some MMORPG, it's from one of the greatest film director's ever, John Woo. He'll put a bullet in your cinema-watching head. Born in China, but raised in Hong Kong, John Woo rose to prominence during the early 1970s by directing the film du jour, along with a series of martial arts movies. But it wasn't until the mid-1980s that Woo really came into his own with bullet-riddled melodramas. Heroes Shed No Tears (1986) flopped at the Hong Kong box office, but Woo's next picture, A Better Tomorrow, would not only smash box office records, but come to definite Woo's slow-motion bullet ballet style — something the director would perfect over the next decade and a half. And something that influences video games even today. Inspired by the films of Jean-Pierre Melville and channeling the cinematic pyrotechnics of Sam Peckinpah, A Better Tomorrow spawned a generation of shoot 'em up crime films. Like Pechkinpah, Woo shocked audiences with violence that wasn't only graphic, but beautiful. 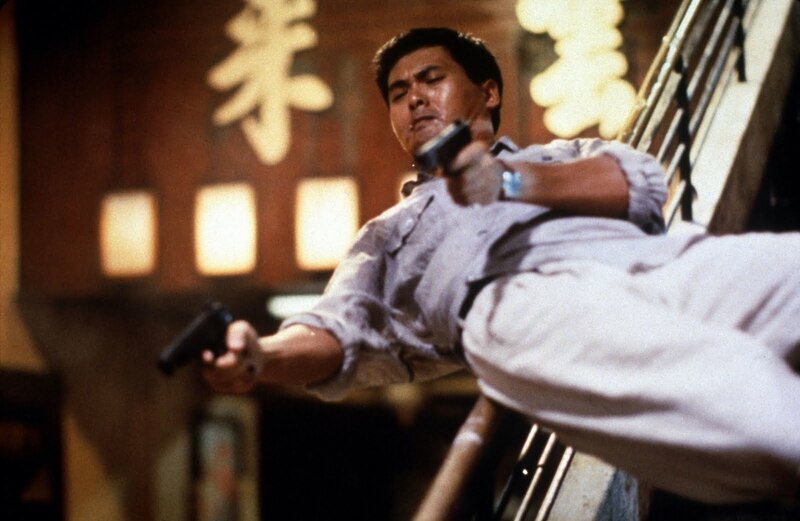 A Better Tomorrow was a hit, and actor Chow Yun-Fat became so popular that he was brought back for the sequel after being killed off in the first movie. His leather duster look in the film inspired fashion trends in Hong Kong — as well as among Hong Kong film geeks in America. After seeing the film, a twenty-something Quentin Tarantino took to wearing a long, dark duster. Tarantino later borrowed the black-suits-with-black-ties look of A Better Tomorrow 2 for his own lurid crime films. Woo ultimately disowned much of A Better Tomorrow 2 and, at the time, critics wrote off the film. But the film showdown isn't only one of the best shootouts in cinema history, but it's like a blueprint for how shootouts are portrayed in video games. There are countless enemies, all wearing identical clothing, that seem to respawn and respawn. There is a mini-boss, and then a final boss. But with The Killer, Woo, a Christian, mixed bullets with religious iconography as he once again paid tribute to his hero Jean-Pierre Melville. Much of the story and melodrama is straight from Meville's Le Samouraï. The gun fights were more complex as Woo experimented further with different film speeds and film stocks. The Killer remains Woo's masterwork, not just in action, but in mood. It encapsulates his most recurrent themes (friendship, betrayal, religion), themes he would revisit in later films like Face/Off. Woo followed The Killer with A Bullet In The Head. It was supposed to be his Apocolypse Now, and it was — in a way. The film's budget was big and bloated, and, like with Coppola's film, the final cut ran long. The film was butchered in the editing room by the studio. 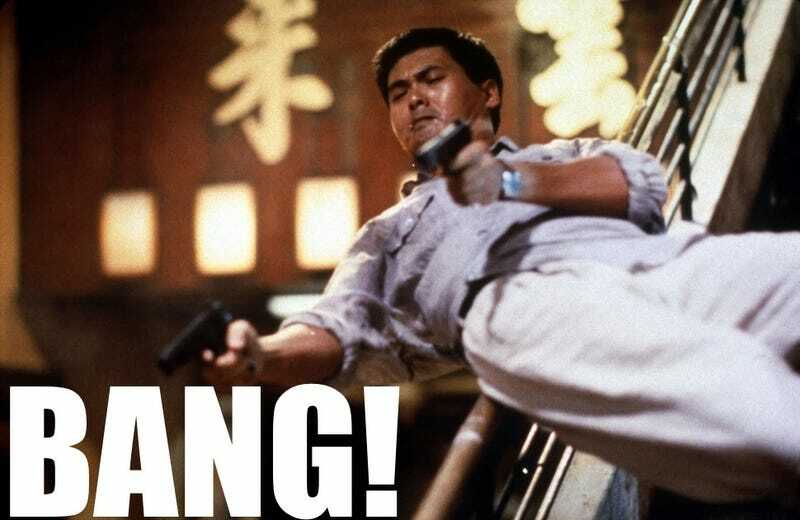 Woo returned to form with Hard Boiled, the 1991 action film intended to take him from Hong Kong to Hollywood. The film is slick, and like The Killer, it would inspire video games like 2001's Max Payne. By then, dual pistols — along with Mexican standoffs — were Woo signatures, and later began popping up in video game references. Woo made a sequel to Hard Boiled: a video game sequel. The Midway-developed game Stranglehold aspired for Woo's theatrics, and hit them more often than it missed 'em. After making his Hollywood debut with the Jean-Claude Van Damme mangled Hard Target, Woo went on to make successful pictures like Face/Off and Mission Impossible II. In the past few years, he's returned to China, making epics like Red Cliff and this year's Reign of Assassins. His recent movies are also a return to his earlier martial arts film, but his imprint on gaming goes deeper than simply licensing a MMORPG and a game sequel. Take this year's Call of Duty: Black Ops, which gives players dual pistols for the Hong Kong level. Even as he leaves the guns behind, Woo's influence continues to be felt. His films are what video game shooters aspire to be, lock, stock and two smoking barrels.